Hobby Flower’s newest collaborators are professionals in tune with our philosophy; they add their perspective and experience to our brand . We chose them with a vision of growth; we want them to add more value to our project, to complement us. They are not only collaborators, they have become part of our family. For all these reasons, we are happy to share the news and introduce you to our new designers: Emiliana Design Studio in Barcelona. Ana Mir and Emili Padrós created their design studio at the end of the 90s, recently graduated from an MA in Industrial Design in Central Saint Martins in London. 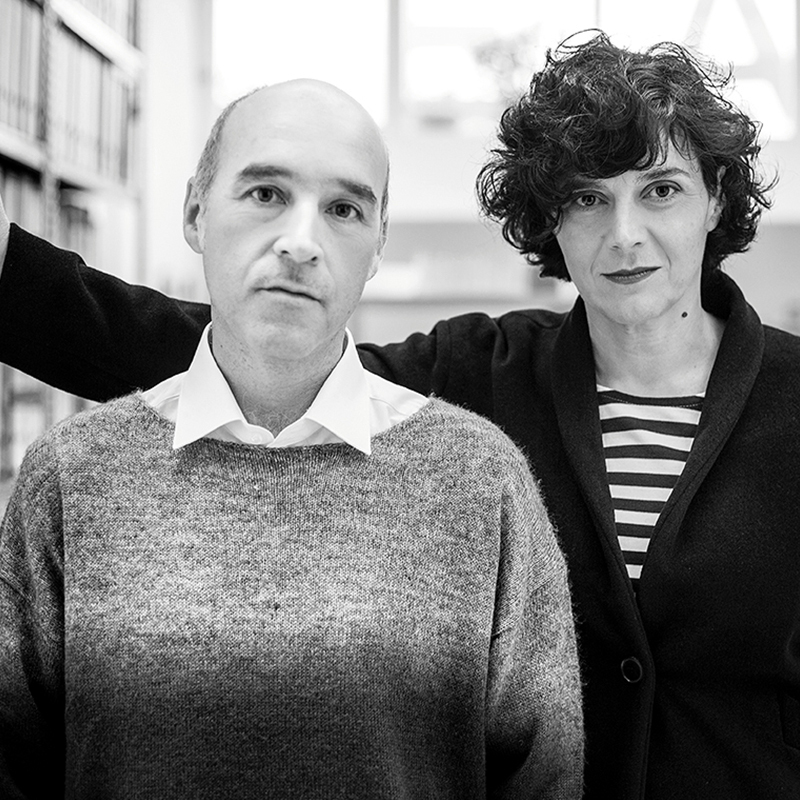 Since then, they have followed a successful career in which they have stood out for their transversal vision in the discipline of design, always with great technical rigor and with a differential touch often characterized by a particular sense of humor and the search for the poetic gesture. The designs, ideas and concepts by Emiliana Design Studio have toured international exhibitions: at the MOMA in New York, Milan, Paris, Tokyo or Sydney. And some of them are already part of the permanent collections of outstanding locations. This is the first time working in the interior design industry for Emiliana Design Studio, but they have begun their work together with Hobby Flower with great enthusiasm. They say that they considered the responsibility that we entrusted with as a professional challenge, and seeing the results, have exceeded all expectations. They have designed a line of hidroplanters as well as the complementing furniture in the ASHI collection, which shines for its minimalist and elegant sophistication. Combining wood and metal, this new collection, including the footrests and small tables, allows us to create small islands of vegetation and rest. The tones of the upholstery and the planters are always natural, pleasant and inspiring balanced and friendly spaces.